When school started this year, I knew I wanted to add something to help with retaining information and to make things fun. One of the things I did was sign up for Teachers Pay Teachers. So far I have only used the free resources but I have a wish list of stuff I would like to buy. I also use Pinterest a lot to find ideas. 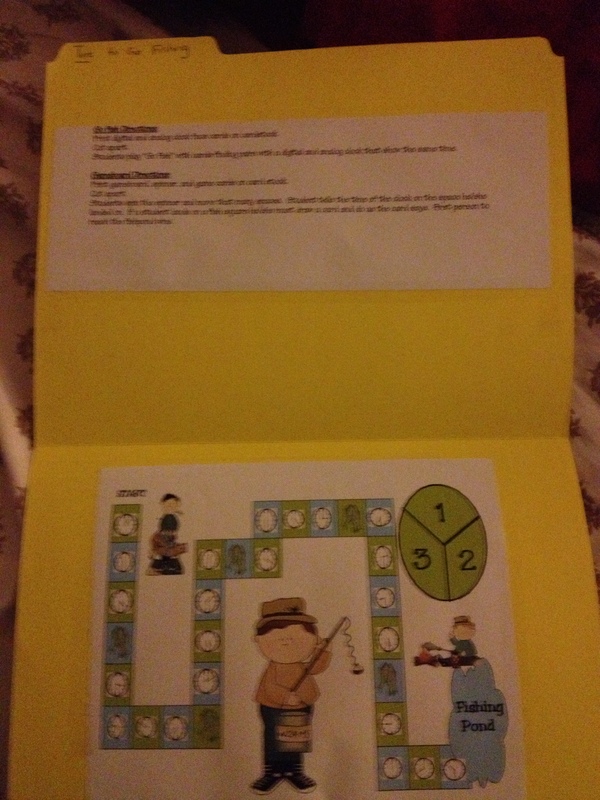 One of the things I implemented, which I used before Devin was school age, is file folder games. So far I have been using ones I found on Teachers Pay Teachers. This is one we did for time. We started time last year so I this was review. We spent the first week of school reviewing by using the file folder games and making notebooks. 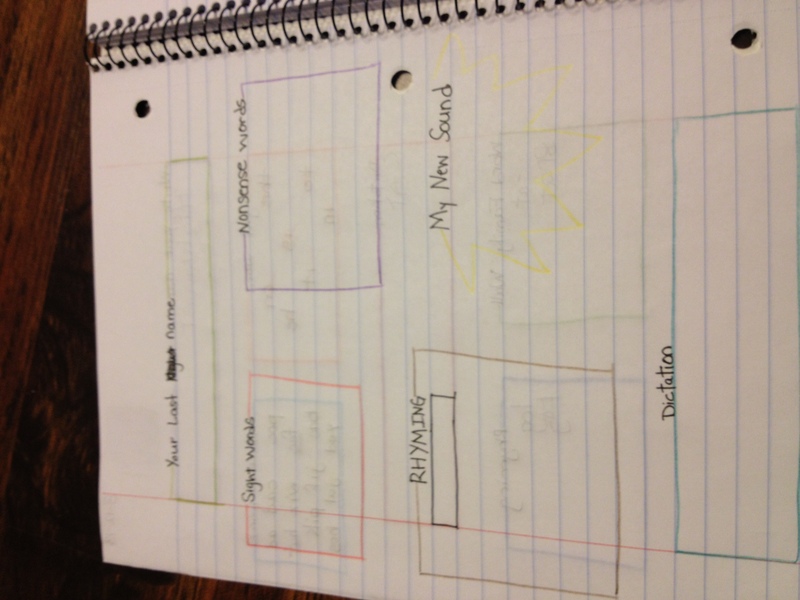 This is the notebook page we made to go with it. This way he can get his math notebook out and review any time he needs a refresher or is having a problem. 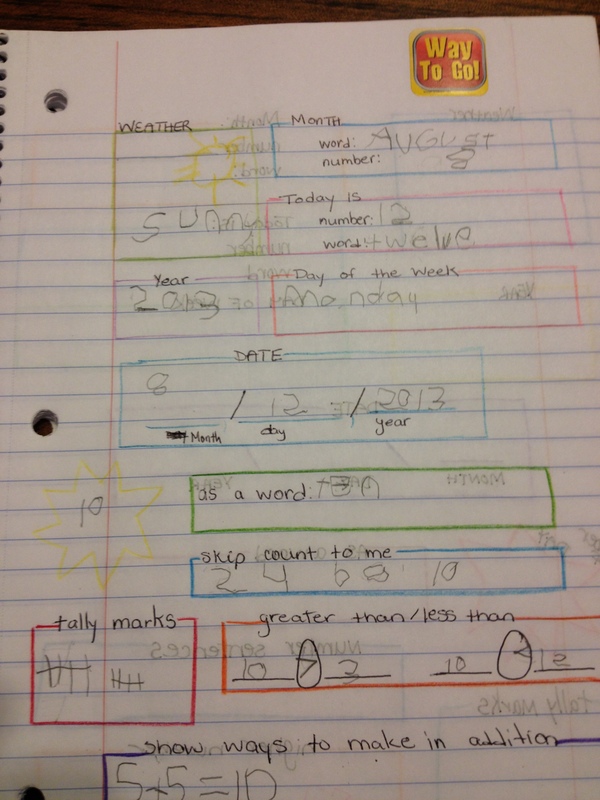 We also implemented journals for math and english. 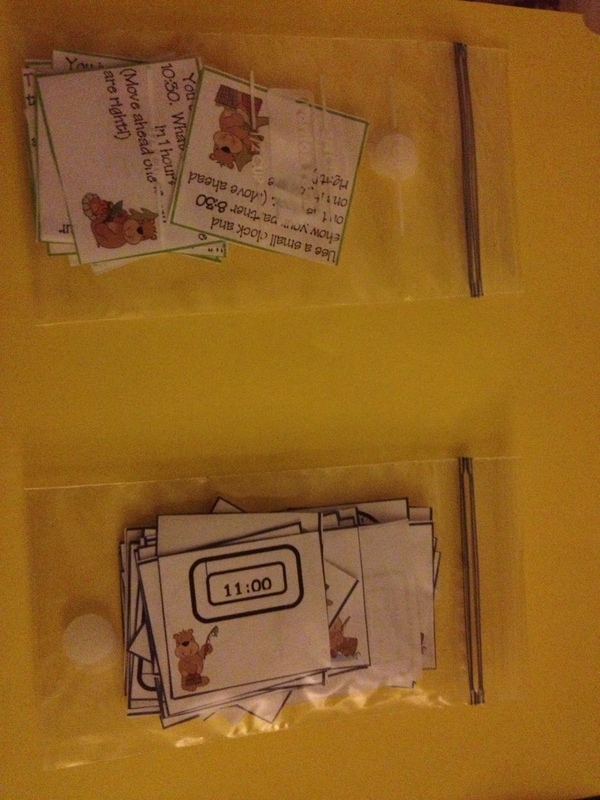 These we use only 2-3 days a week and will be incorporating items from his class connect sessions. These serve as review for things already learned or new skills. As you can see, they aren’t fancy. I just take my black pen and colored pencils and mark out what I want him to work on. 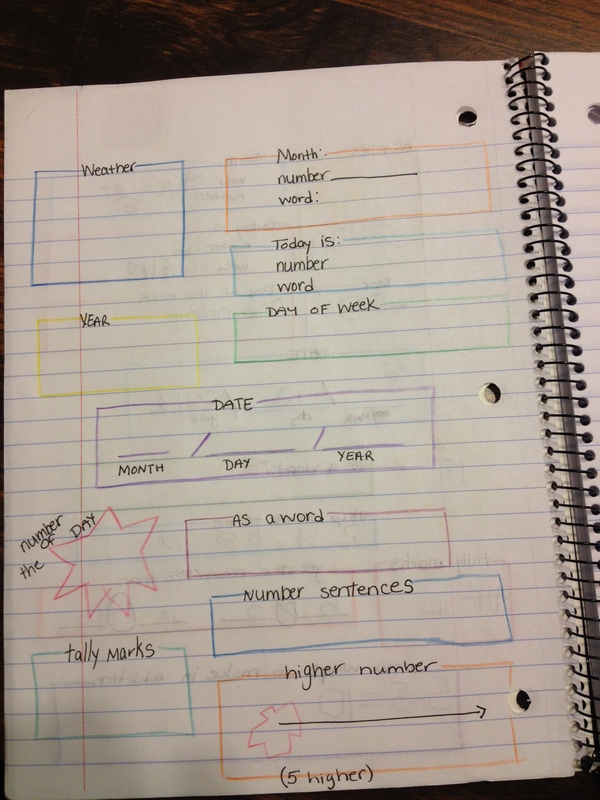 The math pages are different for each day and will change as he progresses. 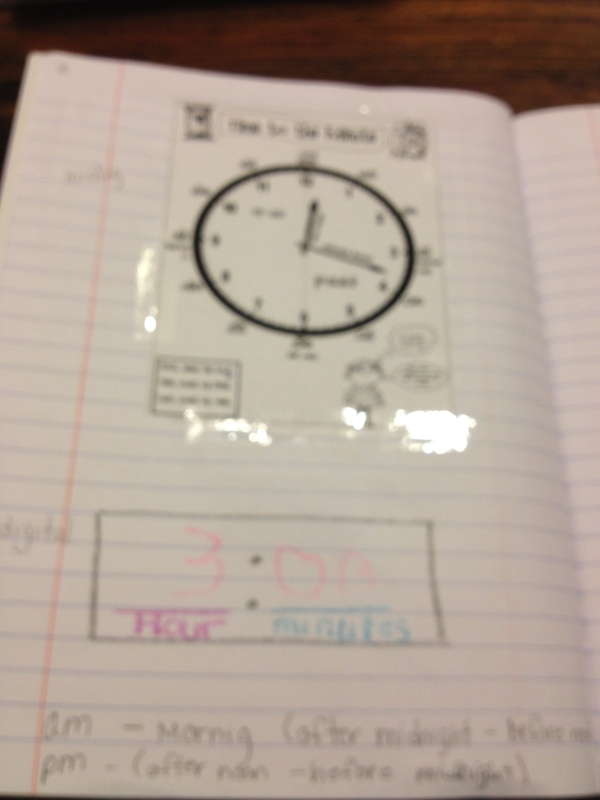 The first picture shows the weather (draws it and writes the word), next he does the month (word and number), then moves to the day (number and word), then day of the week (name and we will be adding the abbreviation soon), then the year and finally he writes the date as numbers in the following form: month/day/year such as 8/12/2013. The next section is review work. This page has a number (10) then he writes it as a word, next we skip count to the number (10) which is practice but also helps him identify what to skip by, then we show the number in tally marks, followed by greater than/less than/equal to (the number is first then I give a number to compare with), and finally he shows how to make it in an addition problem (practicing math facts). We do this before we begin math time. The next page is similar except we did not compare instead we used a number line to show 5 higher (or more) than our number. The English journal is similar. I just use my black pen and colored pencils to mark out what we need to do. The first thing we do is write his last name, then we move on to sight words, then nonsense words, dictation, word family wall, and finally rhyming. 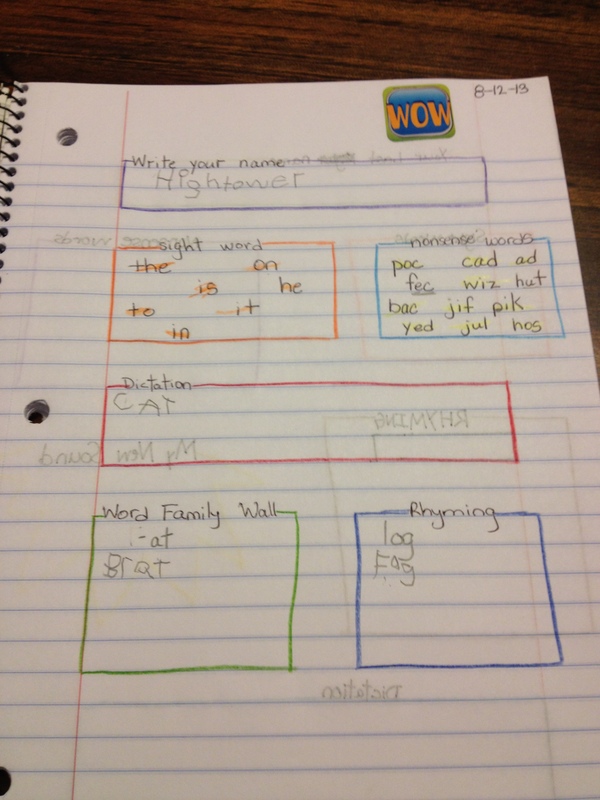 The sight word box I write words he already has learned or is learning. He reads them and if right we color with a colored pencil. This helps me know what we need to work on. The nonsense words are similar. Since this is part of his Dibels testing, I wanted to make sure we practice this skill. The dictation is taken straight from his lesson for the day. All I do is look in the lesson guide, read the dictation to him and he writes it. We correct if needed and move on. The word family wall is were I write a sound such as -at. He says the sound and then makes words with it. We do this with our magnetic tiles we have from K12 but I find this makes him able to do them better because he is the one making the words and choosing what to use. Then for rhyming, he is given a sound and then has to write one or two words that rhyme with it. The next page takes out the word wall and uses the new sound from his phonics lessons such as shr- and then he will make a word or two with it. Obviously the pages will change and some things taken out or added depending on what is being learned and his progress. So far these seem to being what is needed. As you can see these pages do more than what they are made for. They allow handwriting practice and spelling practice.